Be it snowball fights in the park or conquering the slopes, all budding explorers need a pair of trusty trousers to brave the elements. 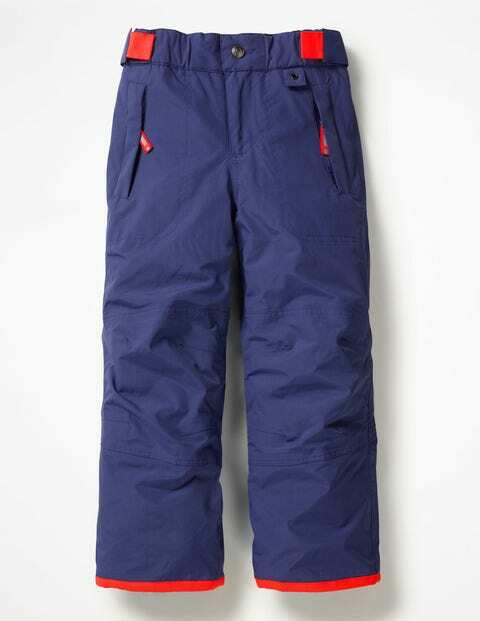 These ski trousers are 100% waterproof with durable taped seams, fully lined and padded for extra warmth. With waist adjusters, storm-guard cuffs and boot hooks, all you need to worry about is the snow forecast. Mix and match with our jackets to make a weather-conquering outfit.